In this edition of CrossTalk host Peter Lavelle asks his guests why discussion of the events of 9/11 continue to attrack so much attention but is all but banned in the media mainstream. 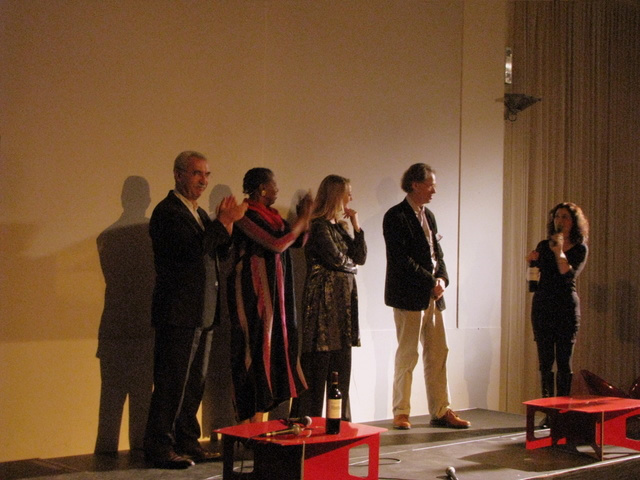 Last weekend, from October 9 to 11, Debora Blake and Annie Machon organized “Vers La Vérité” in Paris, France. The event was sponsored in part by ReOpen911 France. “Vers La Vérité” was a mix of public and private events where each sub-event was designed to facilitate communication between people who share common concerns on important issues, including 9/11. It was not a 100% 9/11 Truth conference. The goal was to position 9/11 in the broader context of related and equally disturbing issues such as illegal wars and reduction of civil liberties. They kicked off the event with a press conference on Friday morning attended by a journalist from a mainstream newspaper, France Soir and the independent TéléLibre. The mayor of Paris's second district introduced Cynthia who made a brief statement and took some questions. Annie Machon also spoke briefly. Cynthia McKinney, keynote speaker at Vers La Vérité, led the discussion with Annie and Debora. This looks to be a very interesting night in Paris. Sidney Smith Hall, Room 2117, 100 St. George Street, 7 p.m.
Hagey Hall Auditorium, 7 p.m.
An interview with Annie Machon. 911blogger: Ms. Machon, what is your current relationship with David Shayler? Do you still believe that Shayler had a genuine breakdown, or was his breakdown perhaps premediated, with the intent of making 9/11 Truth advocates look batty? Machon: David and I separated almost three years ago, and I'm now living in Germany with my partner and Molly the cat. I have very little contact with David now, which is strange after the intensity of our years together, when we blew the whistle, had to go on the run around Europe, watch as our friends, family, supporters and journalists were arrested, live in France for 3 years and survive two high-profile court cases. It's a shame it all happened just before the internet, electronic media archives, and youtube were endemic - otherwise people would be able to see, at the click of a mouse, just how big a scandal it was, what we went through, and how vicious the response was from the government and intelligence agencies. The story has been largely forgotten and spun by the media, and my book (which described the full case) was buried. 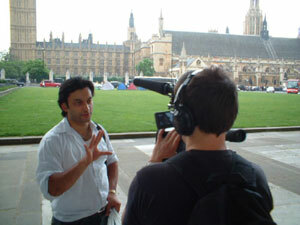 In 2007 I traveled across Europe with William Rodriguez and Annie Machon while filming my Feature length documentary The Elephant In The Room. We traveled across the south west of England, France, Holland and Germany for Just over two weeks. Spreading the word about William's experience of the events of 9/11 which directly contradicts the Official story. Annie Machon the former MI5 officer turned whistle blower organised the tour and spoke before William about her experience working at the heart of the secret state. this is a re post as the last version needed a slight technical amendment - enjoy! 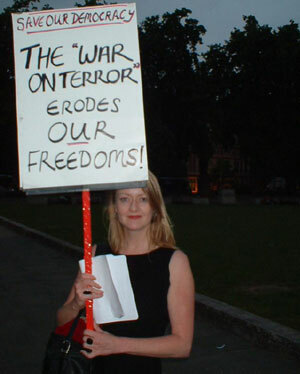 MI5 Whistleblower and author of "Spies, Lies and Whistleblowers", Annie Machon, will be interviewed on BBC Radio Suffolk on the James Hazell show this coming Monday (8th) during a segment about, strangely enough, "Whistleblowing". The interview should take place at around 9:25am GMT. If you live outside of Suffolk you can still tune in, click here. This broadcast coincides very nicely with the event arranged to take place during that very evening in Ipswich, at which Annie will be speaking prior to a screening of the London Independent Film Festival's Best UK Documentary "The Elephant in the Room". Director, Dean Puckett, will also be joining us to answer questions. Click here for more details of "The Elephant in the Room" East Anglia Tour. We do hope you can listen in..and we look forward to seeing some of you soon. 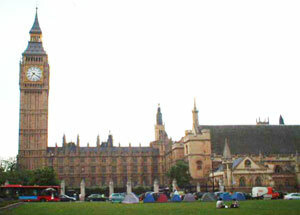 As part of the 11th of Every Month Action Campaign, a London 911 Truth group held a protest at Parliament Square, yesterday. 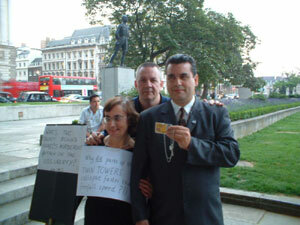 Among the protesters, last man out of the Twin Towers and five times honoured hero, William Rodriguez with ex MI5 officer and co-chair of the 911 Truth Campaign (Britain & Ireland), Annie Machon. The protesters apparently received a good reception from the general public and the group hopes to double its numbers by next month, when another event will take place, again on the 11th.